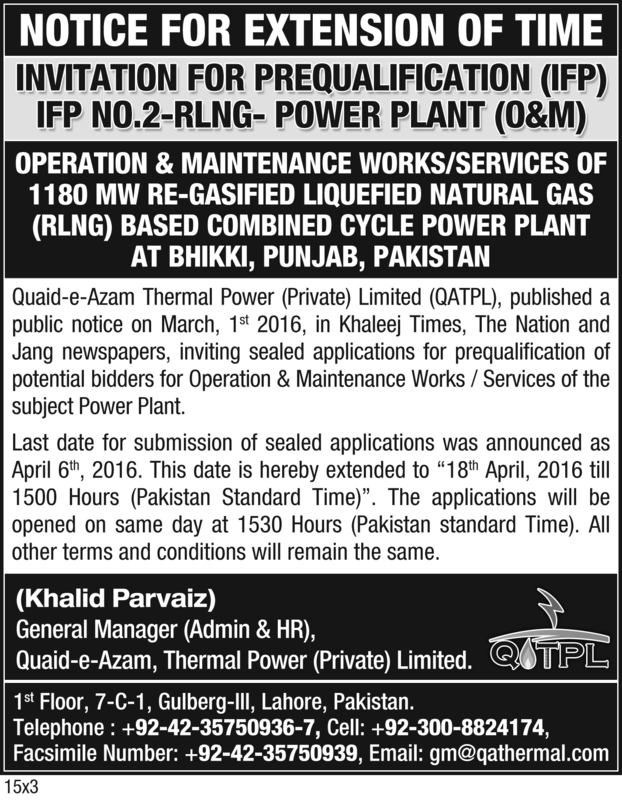 Quaid-e-Azam Thermal Power (Private) Limited (QATPL) published a public notice on March, 1st 2016, in Khaleej Times, The Nation and Jang newspapers, inviting sealed applications for prequalification of potential bidders for Operation & Maintenance Works / Services of the subject power plant. Last date for submission of sealed applications was announced as April 6th, 2016. 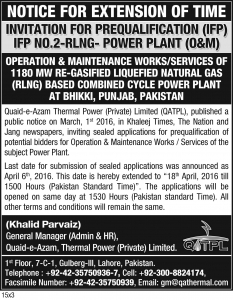 This date is hereby extended to 18th April, 2016 till 1500 Hours (Pakistan Standard Time). The applications will be opened on same day at 1530 Hours (Pakistan Standard Time). All other terms and conditions will remain the same.